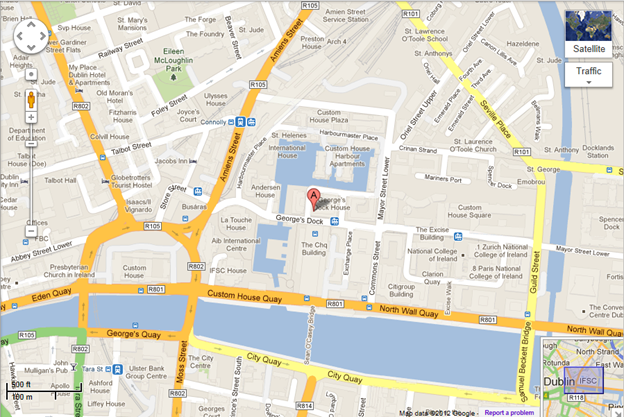 George’s Dock is within a 5 minute walk from Connolly Station and Tara Street Station. The DART runs quite frequently, approximately every 10 minutes during peak hours. 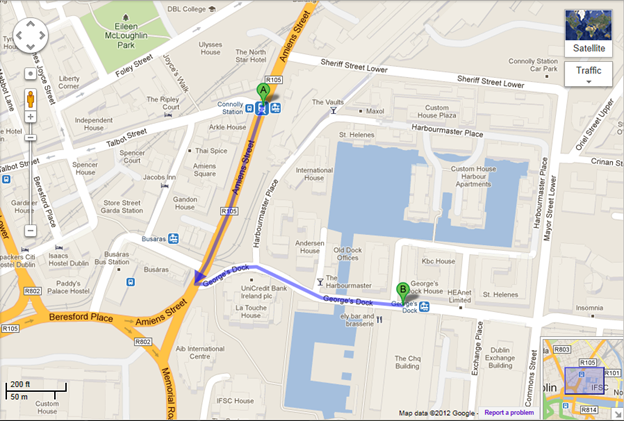 The Red LUAS line will take you directly to the IFSC. 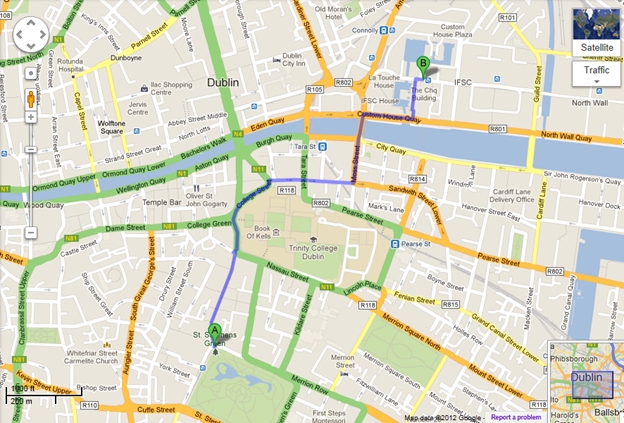 Most bus services will bring you to Dublin City Centre. 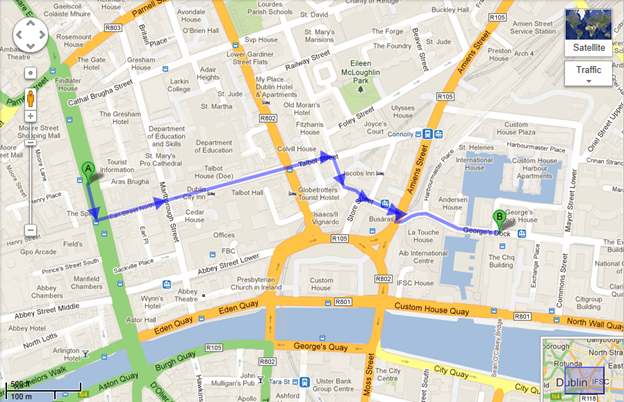 From O' Connell Street it is approximately a 15 minute walk to the location. 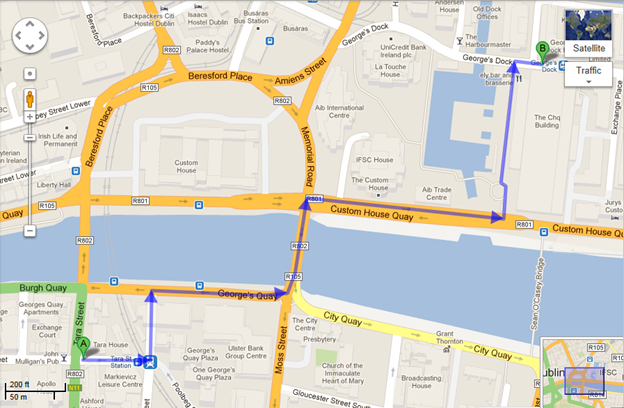 The 151 and 90 bus services will take you to the IFSC. 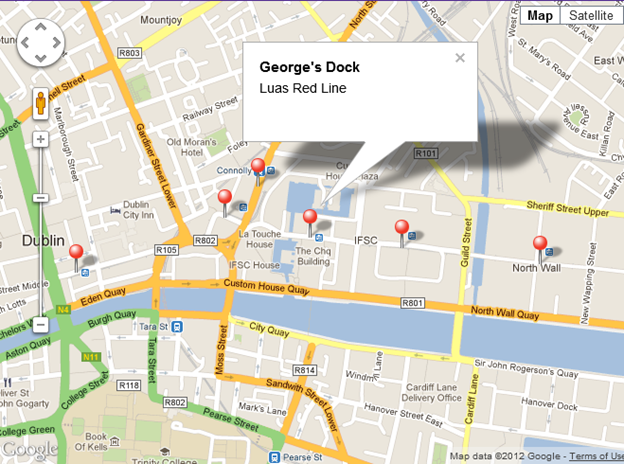 George's dock is approximately a 25 minute walk from St. Stephen's Green LUAS stop. The Luas runs every 5-10 minutes during peak times.